A couple of weeks ago, much of the literary world was abuzz when Granta announced their fourth list of “Best of Young British Novelists,” a once-per-decade tradition they started 1983. Famously, their past lists have spotted the early talent of young authors who have gone on to produce acclaimed work, such as Martin Amis, Pat Barker, Julian Barnes, Rose Tremain, Alan Hollinghurst, Kazuo Ishiguro, A.L. Kennedy, Adam Mars-Jones, Ian McEwan, Will Self, Jeanette Winterson, Monica Ali, Nicola Barker, David Mitchell, and A.L. Kennedy. Oh, she’s here twice; if they’re young enough the first time around they can be selected the next decade as well. Speaking of: Zadie Smith and Adam Thirlwell, whom you’ll find in Granta 123, also made the 2003 list. The authors don’t always go on to great success, of course (in fact, some don’t even go on to write). At any rate, I think it’s worth checking out the authors in the list, seeing which careers I want to follow. Review copy courtesy of Granta. The hub-bub surrounding the list has quieted down, but it’s worth going back and reading the initial response to the current selections (and exclusions). 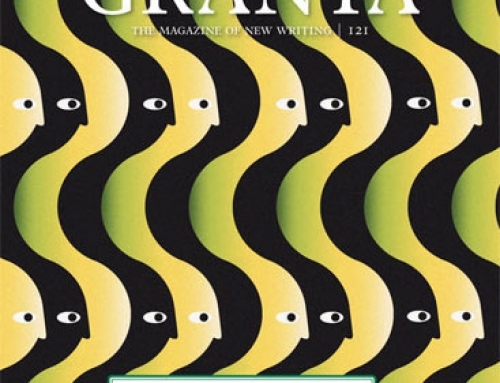 Meanwhile, I will be reading each of the pieces in Granta 123 (most of which are, understandably, excerpts from forthcoming novels), and posting thoughts. As I post, I will update the list below with links. I read the first one of these, a little late, circa 1989 or so. For many of those writers, their Granta piece is the only thing I have ever read by them. But it counts, so I have in fact read Julian Barnes, etc. It was a useful exercise.